Written by Eric Walters, Bedtime 123 will lull your little one to sleep while counting the animals also nestling in for the night. 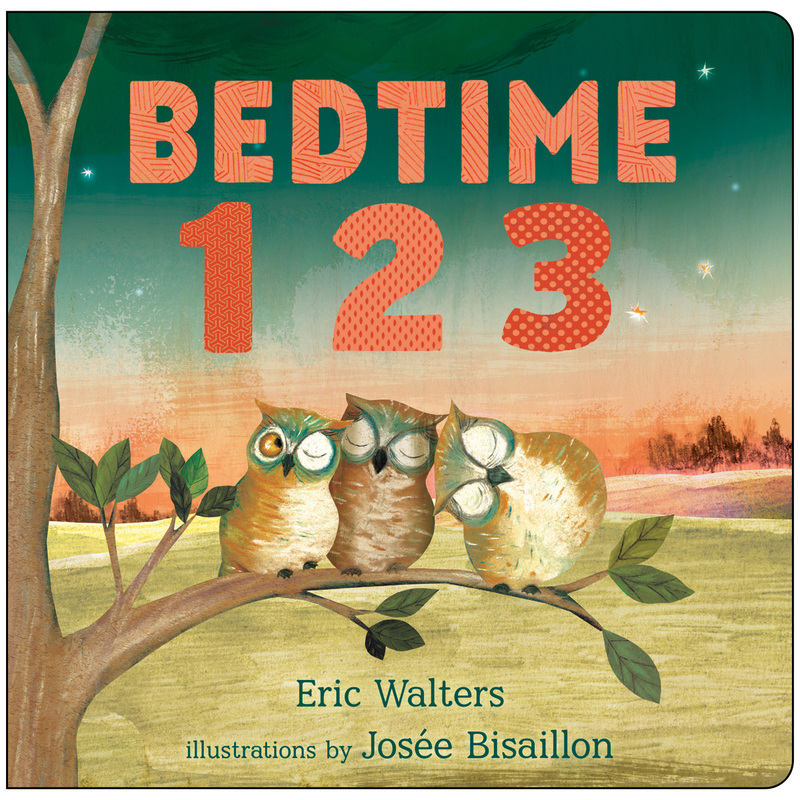 Count the stars coming out, fox cubs snuggling, puppies piling and chicks cuddling as baby rocks gently to sleep in this gorgeously illustrated board book from bestselling author Eric Walters and award-winning illustrator Josée Bisaillon. Tell us about the illustration style of your book? How did you decide what it would be? I don’t really know how to describe my style…maybe whimsical ? For Bedtime 123, I wanted the book to have relaxing colors and soft textures to make kids comfortable when the go to bed. That’s a difficult questions ! I always mix everything, but I’d said cut paper and pastels. What’s in your to-be-read pile? What makes you want to read those books? I have a lot! From biography to novels to graphic novels…And of course many many picture books for my kids. And since I’m an illustrators, the cover makes me want to read, but I know we can’t always judge a book by it’s cover! What is the best piece of illustration advice you’ve received? Be true to yourself, do what you love. What is your favorite spread in your book? I really like the colors on the first spread. When the sun goes down…But I’m really proud of all the illustrations! What aspect do you most admire in illustrations? Passing a message or an emotion without using words. What artist/illustrator do you most admire? Why? I admire a lot of artists for different reasons. I like Jon Klassen’s for his hability to create unique worlds, Kveta Pacovska for her abstract style and use of colours, Martin and Alice Provensen for the colors and sense of compositions, and many many more! Who or what inspired you to become an artist? My parents encouraged me a lot to be creative since I’m a little girl. Michèle Lemieux and Pol Turgeon, my teachers in university, pushed me to pursue my career in illustration after my studies. What type of research did you do for your book? I took a lot of pictures of farms while traveling through the province of Québec last summer and I looked at a lot of farm picture books! Bedtime 123 is available now! 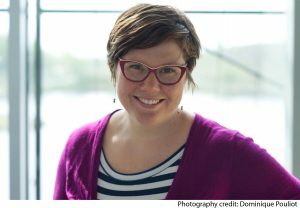 Josée Bisaillon has illustrated more than twenty-five children’s books, created numerous editorial illustrations for magazines and newspapers and been shortlisted for the Governor General’s Literary Award twice. She lives outside of Montréal, Québec,with her family. For more information, visit www.joseebisaillon.com.